Daymond John kept his promise and has been mentoring Mo’s Bows to success! Enjoy this 2015 Shark Tank update! True entrepreneurs think differently: they see differently. They approach life in a completely different way. They actually think about what they think about when they feel like they face mistakes and failures. Once you really understand this — you will have successful accomplishments in your life. It starts with being real with you. So, the next time you feel like giving 80%, or 50% or even 10% of your overall effort just know you aren’t seeing the opportunity in front of you: only the obligation. What you think on the inside matters: in the midst of failure, trials and tribulations and for those that don’t want you to succeed. When you approach life as an obligation you’ll only see what you have to do, what you’re forced to do, or what someone making you do. Your success comes from looking at everything as an opportunity to prove who you are. Remember, every day is an opportunity to wake and embrace another chance. At the C.A.R.E. (TCF) foundation we celebrate success and show you how to get there. We’ll help you get the mentality you need. When you simply try things you’ve never done before you are seeking that opportunity. TCF recognizes careers in STEM (Science, Technology, Engineering and Mathematics). Check out this young entrepreneur that has taken the tech industry by storm! The C.A.R.E. Foundation wishes to acknowledge, Paris Wallace. President and CEO of Ovuline. Ovuline is a Health IT company that combines user’s self-reported health data with clinical guidelines. What is it? Ovia Pregnancy is an ingenious free mobile app. Yes, it’s FREE! How does it work? This app is designed to lead couples through the conception process. It allows them to conceive in half the time. Paris is also a co-founder of Good Start Genetics, a genomics technology company focused on fertility and reproductive health. As co-founder, Paris created the business plan, raised over $20MM from Orbimed Avdisors, Safeguard Scientific, SV Life Sciences and Lighthouse Capital and sold the first products across the country. Prior to Good Start Genetics. He also worked in the asset management division at Goldman Sachs and as a consultant for A.T. Kearney. Paris serves on the boards of Boston-based, start-ups Acceptional and Apartment Streaming and is a mentor at Techstars Boston. Giving Back: Paris has always enjoyed mentoring and advising young companies (start-ups) and has lectured on entrepreneurship at Harvard Business School, MIT Sloan, Amherst College and the Wharton School at University of Pennsylvania. Education: Paris earned his BA from Amherst College, his MBA at Harvard Business School and his MPA from the Harvard Kennedy School. 4 Awesome STEM Career Resources Your Kids Need Now! Career Aisle: Middle School: Have you ever wondered what the future might hold? Explore some of the options available to you in science, technology, engineering and math. Lots of videos. Kids.gov Jobs: You found it! Grab all the info you’ll need on every cool career under the sun. Wondering what marine biologists do? Want to watch a video on becoming a veterinarian? You’re in the right place. iON Future: Like games? If website browsing isn’t your style, you can always play this free STEM career exploration game. It’s geared toward middle school and early high school students. NASA Look to the Future: Careers in Space: You know, you don’t have to be an astronaut to work in the space program. NASA has a list of other professions, including robotics engineer, computer scientist and oceanographer, for you to consider. 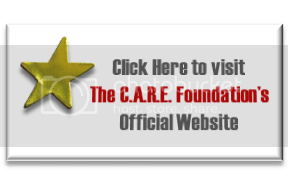 All of us at, The C.A.R.E. Foundation love to magnify how STEM affects our kids education and career path. STEM is the future of the technological age in which they live; it’s opening lucrative career options, and is a necessary key to steps in wise career decisions in 2015 and beyond. In 2009, a list the ten most wanted employees was compiled by the U. S. Department of Labor. Eight of those employees were ones with degrees in the STEM fields: accounting, computer science, electrical engineering, mechanical engineering, information sciences and systems, computer engineering, civil engineering, and economics and finance. STEM occupations are growing at 17%, while others are growing at 9.8%. Health care workers with associate degrees to doctors of medicine will average 20% more in lifetime earnings than peers with similar degrees in non-health care. A glance at 2010 starting salaries for engineers with $47,145 for civil engineers to $60,054 for chemical engineers is strong evidence that STEM related jobs can be financially rewarding careers for our kids. You’re career opportunities are endless! Just remember, whether you’re a student, counselor, educator, or parent, The C.A.R.E. Foundation can get you get involved! In fact, you’re taking the first step by simply visiting this our site. If you’re a student: push your school to teach STEM classes. To all the Counselors: Let’s unite to promote students to pursue a STEM Career. Educators! Please emphasize teaching students the relevance of STEM in everyday life. And to our parents: influence your kids to do well and keep an eye out for any spark of interest in STEM. Contact C.A.R.E. today to see what programs are available to you in your local area or state! Are You Getting The Right Kind of Exposure? What is the #IAMMOTIVATION Career Readiness Tour? The C.A.R.E. (Career, Academics, Recreation and Exposure) Foundation is hosting, The Career Readiness Tour to motivate and empower young people toward career excellence. The tour is designed to engage youth at crucial life stages, such as: transitioning from middle to high school, high school to college and college to career. During the Career Readiness Tour, C.A.R.E. will offer age-appropriate forums and other interactive activities focused on five key areas of learning. The #IAMMOTIVATION Campaign encompasses principles we learn on how to continually keep ourselves motivated on a path to success. The Career Readiness Tour is consistently showing youth how to be the greatest change in the world they wish to see. We are pleased to announce we are now extending our reach to seven local libraries in Louisiana!